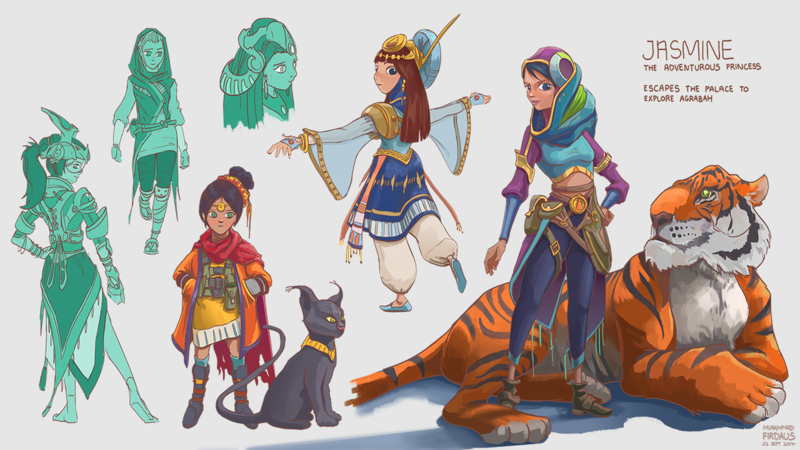 Moving ahead with my Aladdin project, it was time to redesign Jasmine. I have to admit, it was quite a challenge. Ideally, I wanted to portray her as an equal to Aladdin and as a rebellious princess who's curious about the world. Designing clothes isn't one of my strongest suits, but it was interesting nonetheless. I had to try and achieve a balance between royalty and being an active outgoing female. Had fun with the tiger proportions though!